You can also fill out this form upon which a member of our team will get back to you as soon as possible. Gift Vouchers are available to purchase from our office - enquire for more info. 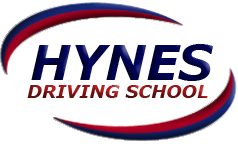 Welcome to Hynes Driving School, one of the longest-serving and most successful driving schools in Ireland. With qualified driving instructors, our own fleet of vehicles and flexible meeting arrangements, we make sure you are on the road to success in preparation for your driving test.